Now I couldn’t tell you why I stopped getting on Tumblr, I just stopped using it one day. 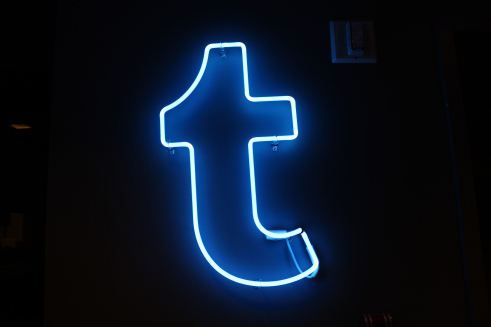 What I remember from using it and from being filled in regularly about discussions and shenanigans on Tumblr is that in the same way Twitter had its own culture and subcultures, the same is true with Tumblr and that culture is use to blogging and communicating in a certain way. Tumblr used to have this hard to decipher—if you weren’t a regular user of Tumblr—reblog thread that made it hard to find out where things begin and who said what without connecting the line from comment to name. It was a very outdated method of displaying reblogs and similar to reading a reply chain in Yahoo mail in the ‘90s. Let’s not get into reading longer comments and how certain page layouts either resulted in a readable brick of text or this long, skinny scroll of text—followed by reblog chain that sometimes featured other long, skinny scrolls of text. However that contributed to the distinct feel of Tumblr as opposed to Twitter or other social networks. 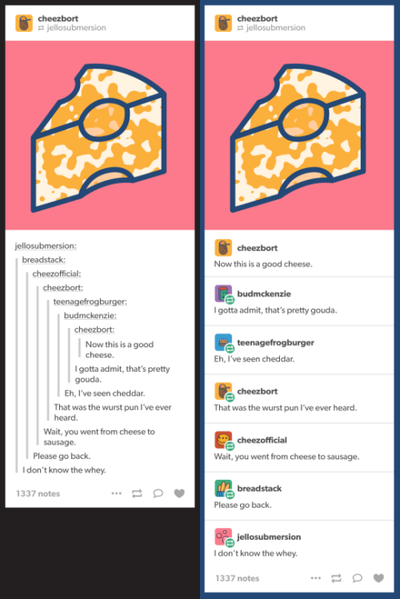 It even got to where posts were distinctly for Tumblr users and intentionally disorienting to people who just didn’t use Tumblr. The update makes the chain clean in the same fashion as looking at forum replies or tweets. Instead of a name, line, and comment you’ll notice a block with username, avatar, and the comment. While better for semi-users and not-even-semi-users like yours truly, this definitely kills a part of what makes Tumblr unique to its base—especially when few were actually clamoring for the new update.